General Hospital Comings and Goings: A New Love Story Begins? Comings and Goings: A New Love Story Begins? 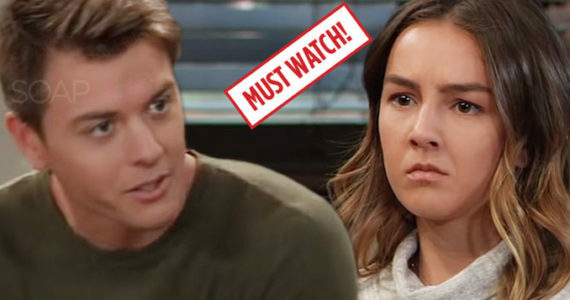 Who’s coming and who’s going from General Hospital (GH)? Are any favorite performers from yesteryear returning to the daytime drama, this week, or in the near future? Have any new actors or actresses been cast on the show in contract, recurring or day player roles? Are any well remembered or beloved stars from other soaps, past or present, about to join the General Hospital fold in surprise new parts? Here’s the latest casting news from the ABC soap. Joe Flanigan is playing Neil, the handsome stranger Nancy Lee Grahn’s Alexis first encountered on February 8. This week, the character will be revealed as to be her new psychiatrist. Flanigan is best known for his role as Lt. Colonel John Sheppard on Stargate: Atlantis. Inga Cadranel has been cast as Harmony, the latest member of Shiloh’s (Coby Ryan McLaughlin) Dawn of Day followers. She’ll share scenes with Steve Burton’s Jason. Orphan Black fans might recognize the actress for her role as Detective Angela DeAnge-lis. Bradford Anderson is back for more episodes as computer geek, Spinelli. Once again, he’ll interact with Steve Burton. Brytni Sarpy has taped more episodes as Valerie Spencer. She airs later this month.